The purpose of my mini-thesis is to explore students’ experiences of online learning comparing with face-to-face instruction. To get insight of students’ perspectives and experiences of the effectiveness of online learning in comparison with traditional classroom, I decided to conduct a qualitative research. To collect data, first I prepared questions for interviews. The reason why I chose interview as a main research instrument is that there was a need to get highly personalized data. Since this study aims to explore students’ perceptions and experiences of the effectiveness of online learning comparing with traditional classroom, interviews were useful for getting the story behind a participant’s experiences. I decided to prepare semi-structured interviews since they allowed me to gain in-depth data by asking open-ended questions. In addition, semi-structured interviews were the right research instrument, because I could ask additional questions to obtain more detailed answers from the participants. As for the research sample, I used purposeful sampling. I chose the participants according to the criterion that students experienced both online and traditional learning, and could share their experiences about the effectiveness of online learning comparing with face-to-face classroom. Although, all my peers qualified for this criterion, it was difficult to find participants due to the fact that everybody was busy during the thesis seminar and the elective course. Fortunately, two of my group mates agreed to participate and contribute to my study. Finally, the participants signed the consent form, where the purpose of the study, time involvement, risks and benefits, participants’ rights and contact information were described. While collecting data, I faced the following problems. Firstly, conducting interviews was time-consuming both for the participants and me. Secondly, as we are all not residents of Astana, it was challenging to find a place for interviews. To address these issues, all interviews were conducted after the classes in the apartment which I rent. Thirdly, I forgot my dictaphone at home, so I had to record the interviews in my mobile phone. To conclude, interview is the most appropriate research instrument while conducting a qualitative research. Interview allows the researcher to get in-depth data about people’s perspectives, ideas and experiences. However, interview also has disadvantages such as time-consuming issue, complicated data analysis process and a threat that both researcher and participants may be biased due to personal reasons. Today, living at the era of technological evolution, it is high time to think over the significance of using technology in our classroom. Without doubt, all of us has used some technological devices while teaching, however few teachers do use techology effectively. Unfortunately, some teachers tend to think that technology is rather distructive and can be used only as entertainment while warming up students.Since I work at NIS, our school provides teachers with various devices which are to be implemented in the classroom; every room is equiped with an active board, laptops and tablets. However, elder generation of teachers do not welcome usage of technology in the classroom, and keep on teaching in a traditional way, whereas my younger colleagues are eager to bring technology into the classroom and manage doing it effectively. Mobile phones are becoming very popular in today’s life since almost everyone can afford it, and during the last decade the role of mobile phones has changed; they are no longer considered as a tool for communication only, now they are used in teaching and learning. Mobile learning supports learning process through mobile devices such as tablets, MP3 players, cell phones and smartphones. The main idea of M-learning is that a learner can learn anywhere and at any time. Mobile devices make it possible for students to gather, access and process inforrmation outside the classroom. Mobile learning is accessible for all learners because of low cost and mobile devices are the most spread ones in the world. Needless to say, mobile learning is valuable and beneficial both for educators and learners. M-learning is worth taking into the classroom due to several reasons. Firstly, according to Savill-Smith et al (2006), mobile learning supports the learning process rather than being integral to it. Secondly, mobile learning can be useful for students with special needs despite SMS and MMS. Thirdly, mobile devices are more convenient in usage comparing with computers. As for the effectiveness of M-learning, this youtube video called “Mobile learning in the classroom” describes how mobile phone can be used in educational purposes. Moreover, reflecting on my teaching experinec, I can say that 5 years ago I cpnsidered mobile learning as needless and distructive, however, now I welcome using smartphones on my lessons. As seen in the video, students can easily get any necessary nformation themselves without asking a teacher, they can google anything using their browsers, they can use wikipedia, online dictionaries and so on. Being an EFL teacher. I assure that M-learning is worth taking into classroom. Unfortunately, this year mobile phones are not allowed in my school, so it takes much more time for students to find unknown words or other information. To conclude, I believe M-learning is an effective tool for the 21st century education since it supports learning anywhere and anytime. The only thing which worries me, is teachers’ attitude towards mobile learrning since in Kazakhstan, teachers consider any sort of technology in the classroom as something additional, but not an essential part of teaching and learning process. Savill-Smith, C., Attewell, J., & Stead, G. (2006). 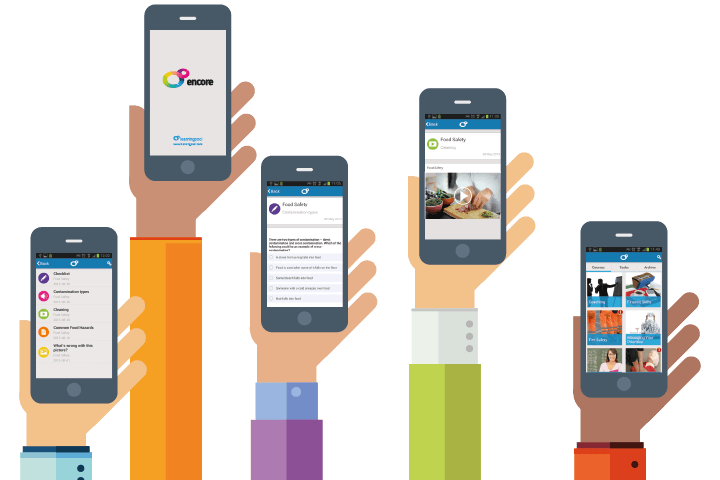 Mobile Learning in Practice: Piloting a Mobile Learning Teacher’s Toolkit in Further Education Colleges. Learning and Skills Network. During my university years, I submitted various written assignments, however, to my regret, I had not been familiar with a structure of writing academic papers. As all students, I did my diploma work which consisted of theoretical and practical parts, but now looking at it, I can definitely say it does not contain a good literature review. So what literature review is? Last year while writing research proposal, I thought that literature review was about finding resources on a certain topic and reading and reviewing them. Now, reflecting on my experience, I realize it was not successful. Writing a literature review became a challenge for me. Firstly, I struggled to find credible sources; and what sources are considered credible? As our instructor advised us to do, I used only key words while searching for scholarly articles, however, not all of them were appropriate to my research topic. The other clue our professor gave us was to look at the reference list of some of the articles. Secondly, it is important to know where to look for credible sources, thus I used NU library, ERIC, EBSCO databases. Thirdly, peer-reviewed articles are considered more reputable. Now, reading various scholarly papers and comparing them with my research proposal, I admit that I lack the focus on one thing and can easily get lost among all those articles. It should be noted, that literature review is not a simple summary of artcicles, but it is about analysis, too. Thus, it is vital first and foremost, to come up with research question(s) and then search for credible sources to address it. As I mentioned, I have problems with alignment and once I start writing on one aspect, I can jump into another which is not relevant to my research question. As for my thesis, I am going to explore Professional learning communities at the site of one Kazakhstani school. The research questions are “What are teachers’ perception of participation in PLCs?” and “How it affects their teaching?”. Since I have two aspects to explore, I found various sources addressing these issues; thus I am going to divide literaure review into two major themes. But first, I am going to write about professional learning communities in general, their role and significance. Moreover, I think whithin these two subthemes of literature review, there will be other aspects such as hindrances to partcipate in PLCs or issues that PLCs address and others. In addition, as I am to do a qualitative research, I took it into consideration while searching for sources and my focus was on qualitative study which addressed the same issues. To conclude, now I am at the stage of reading and reviewing the literature I found and highlighting the main points. I am going to create a table consisting of the title, author and date, research design and findings. I believe it will be helpful in organizing the literature review and staying focused on my research questions. Regarding mini literature review on online learning, I chose several articles from my list and included some of the sources that my peers found. Now I am going to read the rest and divide the literature review into chunks. What about you? Do you find writing literature review challenging? During my university years as an undergraduate student, I used traditional way of paper formatting which I learnt while writing my diploma work. The first time I was introduced with APA formatting was one and a half year ago when I attended pre-session course on academic English at Nazarbayev University. Before course started, our instructor asked us to write an essay and give references; I was not familiar with what APA, so I made mistakes while citing, paraphrasing and making the list of references. Since that time, I started learning how to organize paper correctly following APA guidelines. To be honest, I struggled with paraphrasing and in-text citation. When I looked through the website https://owl.english.purdue.edu/owl/resource/560/1, it seemed to be easy and clear, however while formatting an essay I had a lot of questions like how to cite a work by three and more authors or how to cite a secondary source. Thus, it took time to practice and learn. Last year, during Academic English course we practiced writing a lot and we had to use APA not only during that course, but also in our research proposal and other final papers. Being a GSE student, I learnt the importance and need for using APA style, since it helps students or researchers to organize their papers accurately starting from writing a title and an abstract and ending with a list of references. APA format is the official style used by the American Psychological Association. There are many other formatting styles as MLA, AMA and Chicago style, however APA style is mostly used in psychology, education and other social sciences. While reading APA guidelines, I found out that APA formatting must be used in writing research papers, online blogs and other assignments. APA style guides a writer throughout his paper by setting certain requirements in writing the title, organizing paragraphs, citing, paraphrasing, making appendixes and table of content, ant the list of references. I have found the Publication manual of APA, which can be useful for students. As we are all writing thesis this year, this guidelines will be very helpful in structuring our papers starting from a title and to appendixes. Moreover, the manual explains how to write clearly and concisely, and provides us with strategies to improve writing style. The Publication manual of APA deals with crediting sources as how and when to cite, quote and paraphrase; in addition it is helpful in terms of punctuation, spelling, capitalization, italics and abbreviation. The second source on APA which I found is “Your guide to APA 6th style referencing” by the University of Sydney. This is a great tool for students to address their issues with APA formatting. The guidelines explains how to do in-text reference and reference list of books by one author, two authors or three and more, or books by different authors with the same last name; of e-books, chapters in edited book, or even how to cite a dictionary. This was very interesting for me, as before when giving a definition from dictionary, I struggled how to credit it. 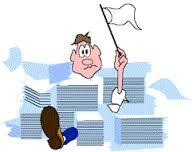 In addition, there is a guideline on citing journals, bill-prints, blog posts, CD recordings and videos. Having read this source, I analyzed I did wrong reference to video which was one of the sources of the assignment on Academic English course last year. Although, I have been using APA for one and a half year I still struggle citing web sites properly. But the “Your guide to APA 6th style referencing” helped me to clarify it. To conclude, there are many manuals on APA style available in the internet. As for me, I recommend the two sources mentioned above and https://owl.english.purdue.edu/owl/resource/560/1 website which will be very helpful for you. 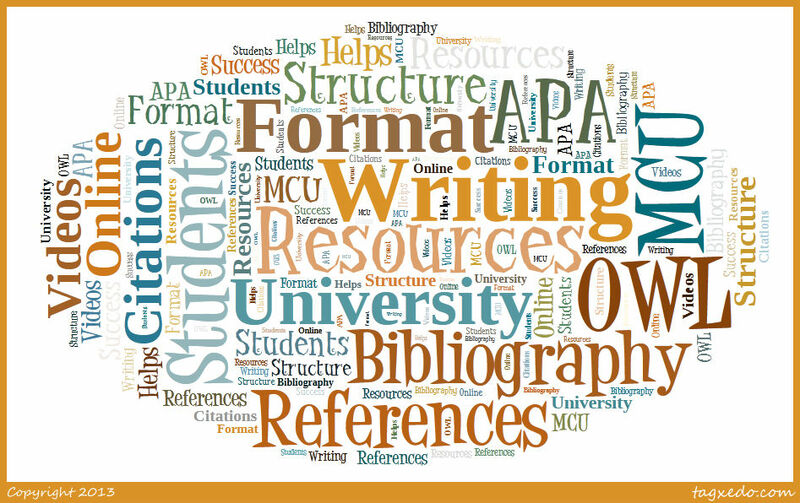 All sources on APA are focused on structuring and organizing paper, and to avoid plagiarism. While writing the first blog, I was warned about plagiarism. Thus, I myself feel I need more practice to learn all the peculiarities of APA style. What about you? Have you got used to it? Welcome to the Purdue OWL. (n.d.). Retrived September 17, 2015. Online learning or traditional way of learning? Online learning has become popular and highly demanded over the past decades. Today, education provides people with variety forms of online learning such as distance learning and e learning. Many high educational institutions offer online courses for students, and today, alumni can get Master’s degree by studying online. Although, online learning makes education limitless and involves any individual to learn, it has both advantages and disadvantages. Since, online learning has become a trend in education, many researchers explored its effectiveness, issues and drawbacks. In the article “Class connections: high school reform and the role of online learning”, Picciano and Seaman (2010) discuss the role of online learning in the context of American high school reform. According to the article, many high schools were aimed at preparing their students for colleges, thus they needed to provide them with special college-level courses. So, they found out, that online learning could address these issues. As Picciano and Seaman (2010) state “high school administrators see online elective college-level courses as an effective ways for some of the more able students to begin their college carriers” (p. 22). Moreover, since many high schools experinced the issue of student’ drop-out, they found online courses to be effective regarding to this problem. According to Picciano and Seaman (2010), although many high school administrators allow their students to enroll in online courses, there are some concerns to be considered. Firstly, the quality of online courses is questionable. Secondly, not all students are ready to study online as they lack self-discipline and certain basic skills as Math and reading. Thirdly, there are concerns that some high school use online courses to shorten the time of moving students through to graduation. Thus, the quality and effectiveness of online learning is doubtful. In addition, Picciano and Seaman (2010) state that many educators perceive online learning not as effective as face-to-face teaching due to lack of students’ self-control and self-discipline which may result in poor class attendance. To conclude, Picciano and Seaman (2010) claim that despite its disadvantages, online learning is an integral part of American high school reform in relation to the improvement of graduation rate. Radović-Marković (2010) in the article “Advantages and disadvantages of e-learning in comparison to traditional forms of learning” studies whether e-learning is effective regarding to the improvement of knowledge, best models of e-learning and the role of instructor modified in teaching via online. Research findings demonstrate that only 2,4% of state educational institutions in the USA keep traditional form of teaching and learning whereas most of universities provide a great variety of programs via online learning. Also, Radović-Marković (2010) claims that students of 90% of virtual classes are satisfied with this model of learning and professors have adjusted to new method of instructions and present good results. As for benefits of online learning, Radović-Marković (2010) states, that number of students in many universities increased reaching 800,000 alumni in Americam faculties. Online learning provides students with a choice of discussion topics and knowledge expansion. In terms of quality of online learning, professors and students state that it is close to traditional way of teaching. Radović-Marković (2010) puts it out, online learning is effective due to continual learning which allows to shorten the time assigned to a particular course. The author concludes, that online learning will grow in popularity and become a dominant form of education all around the world. As for my experience as a part-time student of Nazarbayev University, I have to study some of the courses online such as academic English. I find this way of learning effective and convenient enough as first and foremost, develops my time management and self-discipline skills. In addition, online learning helps students in terms of time and money saving. As for disadvantages, I experienced not face-to-face meeting with my instructors of Academic English last year. What about you? Do you find online learning effective or prefer traditional class? Since that time when we were asked to choose thesis topic, I was thinking and changing my mind several times. I was sure that I would do qualitative research as last year during “Inquiry methods” class I struggled doing a quantitative one. During spring session 2015 on “Professional Identity” course which was held by professor Duishon, I became interested in teachers’ professional identity, teacher culture and teacher professionalism. Thus, I decided to study teachers’ perception of professional identity at the site of NIS Pavlodar. I was to study secondary school teachers’ prior and today perception of professional identity and what factors influenced their professional identities. However, during thesis seminar, I was not sure whether my topic is narrow enough to be researchable whithin a year. Having discussed with my thesis supervisor and my peers, I decided to narrow it or look for another topic. As I came home, I started looking through available literature, so I am now to study professional learning communities in NIS. PLC has been studied in many countries for last 25 years. Studies show that PLCs have impact on teachers’ professional development and as a result, on students’ achievements and school success. As Hord (2008) identifies, there are five characteristics of PLCs: supportive and shared leadership, shared values and vision, collective learning and the application of that learning, shared practice, supportive conditions for the maintenance of the learning community. In addition, Stoll, Bolam, McMahon, Wallace and Thomas (2006) identify three other characteristics of PLC such as mutual trust, inclusive school-wide membership and networks, and partnerships that look beyond the school for sources of learning. Although, studies described characteristics of PLCs, the question of whether to mandate PLCs at school has not been studied yet. However, studies of DuFour (2003) state that PLCs are organized at school to improve students’ academic achievements, so teachers are to partiicpate. In 2012 NIS started implementing action research; teachers were trained by Cambridge specialists and were sent there to learn the concepts of action research and how to implement it in Kazakhstani schools in the context of NIS. In our school, we got introduced with action research in March in 2014. Since that time I became engaged in this project and now I coordinate it at school. Reflecting on my experience at NIS, I see that such kinds of projects for teacher development are not on a voluntary base. Teachers have to join action research, lesson study and other professional communities at school. Now I am thinking over research question. I would like to study teachers’ perception and attitude towads professional learning communities. As Kline (2007) states, perceptions of PLCs are viewed in a positive way when framed as voluntary rather than mandated activities. I am going to explore how NIS teachers perceieve participation in PLCs and whether it has positive or negative impact on their practices.I am going to conduct interviews with teachers who are engaged in various professional communities at NIS. Hord, S. (1997, 2003). Professional learning communities: Communities of continuous inquiry and improvement. Austin, TX: Southwest Educational Development Laboratory. Kline, M. C., (2007) Developing conceptions of teaching and learning within communities of practice. Ed.D. dissertation, University of Pennsylvania. Stoll, L., Bolam, R., McMahon, A., Wallace, M., & Thomas, S. (2006). Professional learning communities: A review of the literature. Journal of Educational Change, 7(4), pp. 221-258.